A Beavercreek pitcher blows a baseball by a Beavers batter, or at least that the alliterative story we’re going with. 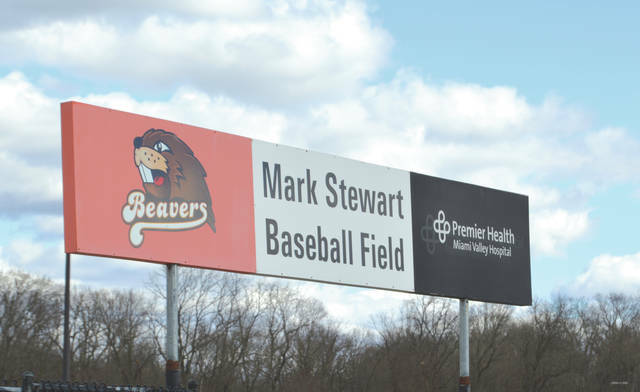 Beavercreek High School players competed in an intrasquad scrimmage March 22 on the Mark Stewart Baseball Field. 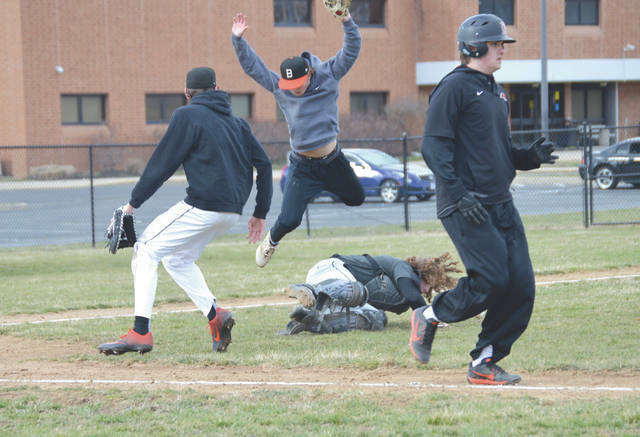 A third baseman successfully jumps over his Beavercreek catcher teammate who was diving after a bunt that was hit up in the air, March 22, at Beavercreek High School. 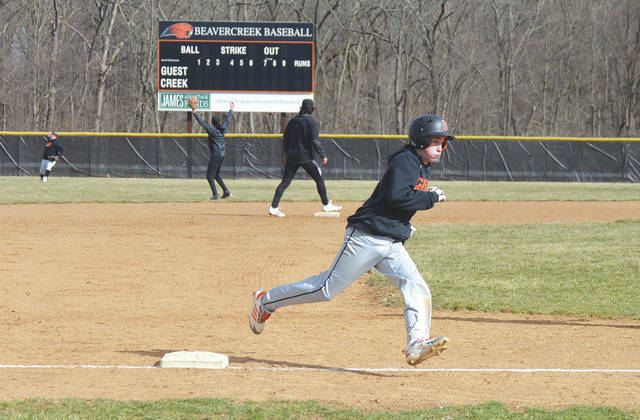 While the outfielder concentrates on hitting his relay man, a Beavercreek base runner rounds third base and heads for home, March 22 at Beavercreek High School. A Beavercreek batter lines a shot to right center field during Friday’s intrasquad scrimmage at Beavercreek High School. 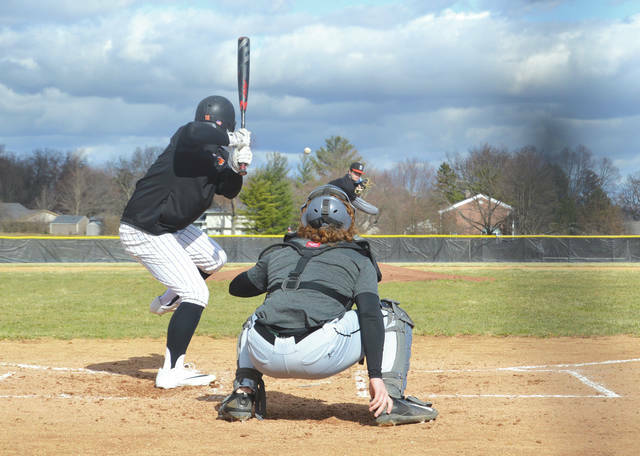 Sure the temperature was in the mid-40s and most everybody couldn’t feel their fingers, but it was still a (almost) perfect day to play baseball outdoors March 22 at Mark Stewart Field in Beavercreek. A Battlin’ Beavers batter gets jammed on a bunt attempt, Friday during an intrasquad scrimmage at Beavercreek High. 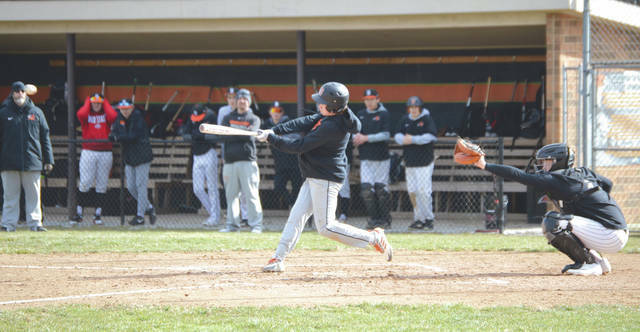 BEAVERCREEK — While a scheduled March 22 scrimmage with Kenton Ridge may have not happened, the Beavercreek High School baseball team took the opportunity to play an intrasquad game on the Mark Stewart Baseball Field on a brisk 40-degree day. Area high school teams are gearing up for the 2019 high school Spring sports seasons, most of which get under way this weekend. Some area teams, like Xenia and Greeneview, will begin their high school baseball seasons on Saturday. The Rams are scheduled to play on Xenia’s home field at 11 a.m. Saturday, March 23 for the season opener for both schools. 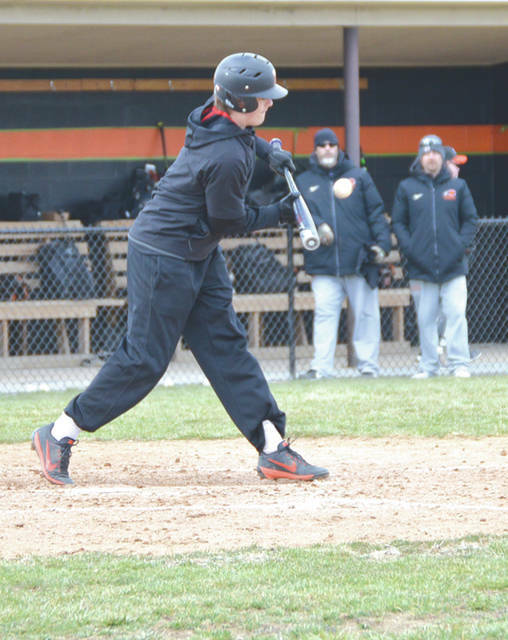 Long before Beavercreek’s players lost feeling in their fingers from Friday’s cold, the team was already scheduled to open its season a bit closer to the equator March 28-30 at the Southern Warrior Classic baseball tournament in Murfreesboro, Tennessee. The Beavers are making their first appearance in the annual season opening tournament. More than 80 teams, from nine states as far away as New Mexico, are scheduled to appear. Beavercreek’s first Ohio scheduled contest will take place April 1 when the Beavers take on Greater Western Ohio Conference foe Fairmont, in Kettering. Hopefully it’ll be a bit warmer by then.